Data Centers are undergoing dramatic paradigm changes: with traditional silo architectures, all but eliminated through virtualization; with the convergence of server/switch/storage (S3); with the shift from simple client-server computing to large scale cloud computing; with the shift in networks from Client-Server traffic to East-West communications; and with the rapid growth in massive big-data processing needs. These changes have been stretching traditional management technologies and operations beyond their useful boundaries. This tutorial reviews these fundamental data center technology changes, the challenges they present to operations management and emerging new solution technologies. Yechiam Yemini is a Professor Emeritus of computer science at Columbia University. His current research interests include cloud computing, big data, and virtualization, as well as computational biology and biological networks (for his previous networking research and the DCC lab). He teaches Computational Genomics and Technology Entrepreneurship, in addition to traditional networking and distributed computing classes. Professor Yemini has also been a co-founder of several companies including: Comverse Technology (1983), System Management Arts (SMARTS) (1993), acquired by EMC in 2005, Arootz (2006), VM Turbo (2010). He has served as a director and advisory board member of several high-tech companies and as a member of several government technology commissions and working groups. His spare time is devoted to eclectic activities ranging from gourmet cooking to sand sculpturing. Approximately one year after its creation, the concept Network Function Virtualization (NFV) has become prominent in telecommunication operators' technology update plans. It creates an opportunity to make telecommunication networks more innovative in a very short time. 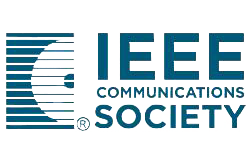 In addition, this success easily brought together more than 150 members in a new industry specification group within the European Telecommunication Standards Institute (ETSI). From discussions of concepts, to use cases, to proof of concepts from a number of telecom operators, in this tutorial, we present NFV and the current state of industry recommendations and standardized terminology that make the core of NFV, as well as, perspective, research challenges and enabling technologies. The NFV idea mainly consists of the consolidation of hardware-driven network appliances in a commoditized virtualized datacenter environment, where the network functions are virtualized in virtual machines or similar. There are several reasons to invest in NFV, the possibility of long-term reduced operational costs, easy to manage energy expenditure due to be easy to turn on or off virtual machines, and underlying servers on demand, a more scalable and dynamic approach to create and operate network services, and so on. It also can complement Software Defined Networks (SDN) in order to automate the orchestration and configuration of telecom networks. In this tutorial, we will show a comprehensive view of Network Function Virtualization (NFV). From the motivation of how NFV came to be created, a clear overview of the main concepts, objectives and goals of NFV, the challenges that follow the future development and deployment of this in practice, for example, interoperability, automation, scalability, self-management, orchestration, resiliency and security. We will also present the benefits of this technology and the relationship with Software Defined Networks (SDN), how they complement each other. From the concepts, we will describe the NFV architecture, research challenges and proposals, all the use-cases proposed by NFV ISG at ETSI, and describe some Proof of Concepts in the works, such as CloudNFV and CloudBand. We finally conclude the tutorial, describing enabling technologies, on many layers, in the network / computing infrastructure, such as OpenStack Neutron, Intel DPDK, Vyatta router, ClickOS and other important changes in the infrastructure enabling NFV. We seek to motivate and present this tutorial to the following target public: undergraduates, graduates, professors and researchers that may have the interest to develop projects and studies on Network Function Virtualization. The main pre-requisite of this tutorial is have a good understanding of basic computer network, equivalent to an undergraduate course, and also some basic notions of virtualization and cloud delivery models. In addition, we also identify that people from IT departments and network operations, may also have interest to deploy NFV and therefore, this could be a good opportunity for them to update in terms of perspectives, trends, concepts and real applications of NFV. Topics: Timeline of NFV, Motivation and Context; Benefits; Relationship with SDN. Topics: Explore tradeoffs in performance; Portability, Interoperability; Migration and coexistence with legacy platforms; Management; Orchestration and Automation; Security and Resiliency; Network Stability; Integration Scenarios of NFV and SDN – A Win-Win approach. Topics: Linux containers, Xen miniOs and ClickOS, Netmap acceleration, Intel DPDK, VT, SR-IOV, Open vSwitch, OpenStack Neutron/Quantum; Video Demonstration of Vyatta Virtual Router accelerated by Intel DPDK under OpenStack. Topics: Comparison of approaches and technologies; Present Future Perspectives and Trends; Pointers to recent NFV-focused Conferences and Workshop. Cesar Marcondes is an Associate Professor at Federal University of Sao Carlos (UFSCar) – since 2008. He holds Bachelors in Computer Science from Londrina Brazil (UEL-1998), and Master Science from Federal University of Rio de Janeiro (UFRJ-2002) and PhD in Computer Science by University of California Los Angeles (UCLA-2008) under the guidance of Prof. Mario Gerla. Currently, he is a visiting scholar at Florida International University (FIU). Dr. Marcondes has a large experience in computer networks, in particular, congestion control, software defined networks, future internet testbeds, AI-inspired optimizations and delay-tolerant networks. He worked at Sun Microsystems in 2006 and Google Summer of Code in 2005 and 2008. He has more than 30 high-impact publications and 10 US awarded patents. Future Internet Architectures (FIAs) in general, and Information Centric Networks (ICNs) in particular, have received a lot of attention as potential replacement for IP, in order to solve some of the problems encountered in the current Internet. These problems include mobility, security, and handling the explosion in bandwidth consumption. As computing and storage costs have dropped dramatically, it is now possible to support new networking paradigms which involve forwarding based upon names rather than IP addresses, and in-network caching for the data which traverses the network. But mostly, ICN architectures offer a content abstraction to manage the network, which is more fine-grained and versatile than the IP abstractions. In this tutorial, we look at Future Internet Architectures, and ICNs in particular, and examine how the new precepts of Information Centric Networks allow better network management: content naming, routing by name, content­based security, in­network caching. We survey content­based architectures and detail more carefully some current ICN architectures, including Van Jacobson’s CCN architecture, and Publish/Subscribe proposals such as NetInf and PURSUIT. We identify how these introduce new management issues, but also new opportunities, as well some research challenges to be solved by content centric networks and some potential applications. This half-day tutorial focuses on on-going research work. The field of Future Internet Architecture, and ICN in particular, is still very much in flux, and the tutorial will describe work-in-progress. The tutorial will expand a previous tutorial, given at IEEE SACONET Conference in Paris, in June 2013 and at IEEE GLOBECOM, in Atlanta in December 2013, which presented the key concepts and ideas of the ICN FIAs, but will be updated to reflect the research work that has happened since then, and to reflect the emphasis on the management issues. How does SDN control plane help with ICN FIAs? Cedric Westphal is a Principal Research Architect with Huawei Innovations working on future network architectures, both for wired and wireless networks. His current focus is on Information Centric Networks and the management thereof. He also has been an adjunct assistant professor with the University of California, Santa Cruz since 2009. 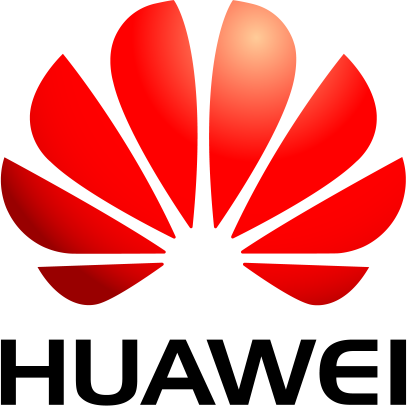 Prior to Huawei, he was with DOCOMO Innovations from 2007-2011 in the Networking Architecture Group. His work at DOCOMO has covered several topics, all related to next generation network architectures: scalable routing, network virtualization and reliability, using social networks for traffic offloading, etc. Prior to that, he was at Nokia Research Center from 2000 to 2006. He received a MSEE in 1995 from Ecole Centrale Paris, and a MS (1995) and Ph.D. (2000) in EE from the University of California, Los Angeles. Cedric Westphal has co-authored over fifty journal and conference papers, including several best paper awards; and been awarded twenty patents. He has been an area editor for the ACM/IEEE Transactions on Networking since2009, an assistant editor for (Elsevier) Computer Networks journal, and a guest editor for Ad Hoc Networks journal. He has served as a reviewer for the NSF, GENI, the EU FP7, and other funding agencies; he has co-chaired the program committee of several conferences, including IEEE ICC’13 (NGN symposium), IEEE ICNC’15 (Cloud symposium), IFIP Networking’06. He is the General Chair for IEEE INFOCOM 2016 and the TPC chair for the first IEEE NFV/SDN conference in 2015. He is a senior member of the IEEE. Prof Wetphal presentated tutorials at GLOBECOM 2013, SACONET 2013, IFIP Networking’05, European Wireless 2007 and to the SOI Asia project 2007.